This is a special action alert from MVCAN. Please read and forward the important message below to 10 or more friends in California. 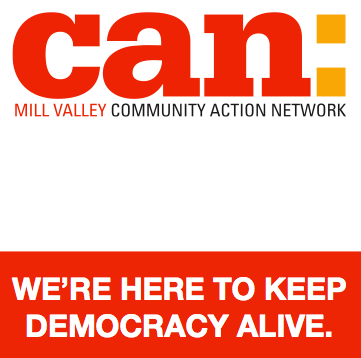 If all 750 on the MVCAN mailing list forward this to at least 10 friends, it will reach 7,500+ activists! Feel free to copy/paste or use your own words. Are you angry with the Democratic Party? There is a battle for the soul of the California Democratic Party that is happening right under our noses! Don't miss your chance to get involved. On May 20, there will be an election for the Chair of the California Democratic Party. This is an extremely important election because it has a big impact on our local politics, and there is a clear difference between the two candidates. 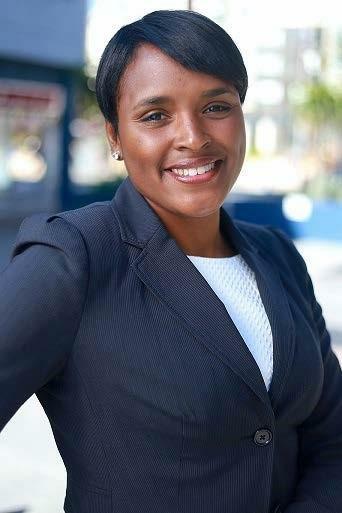 Meet Kimberly Ellis: Kimberly Ellis is an authentic progressive who has been working for years as the head of Emerge California, an organization that trains and supports Democratic women to run for elected office. She is outspoken about the need to implement single payer healthcare, ban fracking, close the corporate loophole in Prop. 13 to re-fund public education, and eliminate for-profit prisons. She plans to stop the California Democratic Party from wasting millions of dollars on expensive consultants and worthless direct-mail campaigns. Instead, she plans to spend that money on what we truly need–a legion of grassroots organizers to help us move much-needed progressive reforms forward from San Diego to Eureka. Her opponent, Eric Bauman, is a long-time party insider, political consultant, and chair of the Los Angeles County Democratic Party. He proclaims himself a progressive, but he has been paid hundreds of thousands of dollars to do political consulting for the pharmaceutical industry. This includes the $150,000 he accepted specifically to defeat Prop. 61 last fall (the ballot measure that would have allowed the state to bargain for prescription drugs at the same low prices as the VA, and provided financial relief for millions of low-income Californians). Kimberly refuses to write off our red, rural districts. She thinks red and purple counties are worth fighting for—it's one of the main reasons so many delegates are supporting her. But guess what? Under a new set of rules, there are a lot of young delegates from those counties who don’t have the $1,000 or more it will take to stay in Sacramento for the 3 days of the party convention in mid-May. That’s what made me write a check. That’s why I’m asking you to write one too. The group I’ve been pouring my energy into since November 9th—The Mill Valley Community Action Network, which has 750 members—just hosted a fundraiser for Kimberly Ellis, and we think she's the real deal. And Our Revolution, Bernie Sanders' movement, is behind her too. Please note: There is no MVCAN Weekly Wag this week. Visit MVCAN.org to find the latest event calendar, team reports and more. PEOPLE'S CLIMATE MOBILIZATION March and Rally Sat. Apr 29. Join MVCAN for a day of marching, education and solidarity as Marin County comes together for what makes where we live so special: the environment. Dynamic environmentalist, Erin Schrode will be speaking. Reed Fromer will be performing. Check out some of the signs the group made of endangered species for the younger generation to carry in the hopes of creating a powerful image.
. Meet us on the steps of City Hall in San Rafael at 11am. MVCAN is sponsoring the portion of the march from San Rafael City Hall to the San Anselmo Hub. Contact Lisa Ristorucci for more info or if you are interested in volunteering. PHONE BANKING in Sausalito Sat. Apr. 29, 10am-Noon. Call voters in South Carolina's 5th district for the Special Election to elect a U.S. Representative to fill the vacated seat of Trump Budget Director Mick Mulvaney. Info here. Civil Rights Team. Sponsored by United Marin Rising. Info here. 203 Marin Ave. Mill Valley. Gather with your community to learn Resistance tactics, get team updates, and get involved in meaningful action.